In today’s uncertain employment market, gaps on a resume due to periods of unemployment are typical. Other reasons for being absent from the workforce may include time away raising kids, furthering education, caring for a sick family member, or your own illness, sabbatical, self employment, or freelance work. Regardless of the reason, the many recruiters, HR professionals, and employers I consulted with advise addressing gaps honestly and effectively, so you avoid landing in the big fat NO pile. Here’s some legitimate ideas to spin gaps in a very effective way, so that you can stand out, beat the competition, and land in the slim pickings Yes pile. To avoid coming across as inconsistent, unorganized, or lazy (often seen as a character flaw in candidates with gaps), or as though you are hiding something, you will need to explain any gaps in employment that span over year, or more. List only the years; (Ex: 2012-2014). No need to include the months in this case. You most likely will however, need to include both the months and the years on applications. Note any volunteer work or community involvement, skills refresher courses, or recent certifications you might have gained while unemployed. The average job search lasts 40 weeks. To exhibit strength in character it is important that you maintain and build upon your skill sets and remain a qualified candidate during your job search. For tips on how to do so, refer to my article: 4 Innovative Tips to Stay Sharp While Unemployed. Be strategic with your resume format. Use a functional resume style rather than chronological. 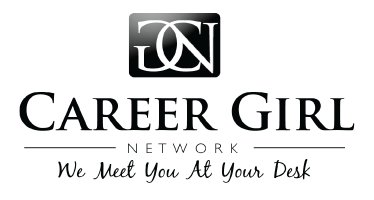 Emphasize accomplishments and career highlights relative to the job descriptions you are targeting, followed by your employment history in list format noting a minimum of 10 years of work history. If you have been unemployed for 2 or more years, you may address it in your cover letter by stating something like: The length of time that I have been unemployed is not a reflection of my character. Rather than applying everywhere and anywhere, I am taking a focused approach and choosing only to apply for positions that I can truly see myself committing to long-term. You might say something similar in an interview as well. In bullet format list skill-sets acquired like: organization, multi-tasking, coordination, planning, budgeting, meeting deadlines, being a hard-working self-starter. You might also note that you coached a little league team, volunteered with organizations, and other activities that helped to build onto your skills. Group these roles together under one timeframe using the position title relative to your industry. Then, list a maximum of six bullets, as you would under your other positions that illustrate accomplishments, quantifiable examples of success, initiatives that you developed, and any awards, or recognition achieved while in those roles. Formulate the wording for these bullets using what I call PSO statements (Problems-Solutions-Outcomes). What problems did the company face? What solutions did you offer? And what were the outcomes as a result of your ability to carry out the responsibilities of the position exceptionally well. To avoid appearing as a liability, especially if you were or are still ill, note that you are returning to the workforce now that your personal matters fully resolved. Regardless of whether your health is now picture perfect, speaking to your own personal illness can put you in the “No” pile fast. Garnering empathy is not a strategy you want to attempt to try when you are competing to re-enter the workforce among candidates who have remained healthy and have no gaps. Ex: Personal/Family Matter 2012-Present Returning to the workforce after taking a temporary sabbatical to handle personal/family matters that are now fully resolved. If you were blessed with the opportunity to just take time away from the workforce to regroup, travel or do whatever, more power to you! This will make for great conversation during an interview. In bullet format list new languages learned, volunteer experience and any skill sets gained through this experience that will compliment your resume and the objectives of the positions you are targeting. In an interview you might say that you chose to take advantage of the opportunity to travel, or just take time off to reflect on your life’s purpose while you are young so that you can move forward with a positive attitude and no regrets. Emphasize the fact that how that opportunity enlightened you and you are ready to return to the workforce and hit the ground running. Any employer that tosses aside your resume because you chose to take a break from the workforce to dedicate your focus on furthering your education is probably a company that is not worth working for. Note this in the same way you would another job. In bullet format list awards and achievements and extra-curricular activities that may be relevant to the industry and specific job descriptions. You may have taken the initiative to work as your own boss while searching for full-time employment. This can be to your advantage especially if the job description for the positions that you target state that the ideal candidate possesses an entrepreneurial mind-set, and is someone who is self-directed and able to work independently under minimal supervision. If the job description states that the ideal candidate thrives in a team environment, under collaborative efforts however, you might consider using “Freelance” rather than “Owner” or “Self-Employed” as the position title. Choose your position title based on the objectives outlined in the job description. Employers worry that candidates who have been self-employed may not like having a boss. Focus on the positive during the interview. Explain that you realize the advantage of being an employee and that you are eager to reenter the workforce in this capacity. think positive, be consistent with your job search, and seek assistance if you feel you are really making a solid effort but aren’t getting results.